A group of us rode from Missouri to Maine during the month of July. We had a great time and saw some wonderful country. However, I cannot recommend riding in Conn as the drivers were pushy and rude not to mention dangerous! We had several close calls! Stopped in to visit Orange County Choppers, just good fun! What a nice picture! I lived in the New England area for nearly 26 years and sure know what you are talking about as far as rude drivers! Glad to hear you had a nice road trip and survived driving thru Connecticut! 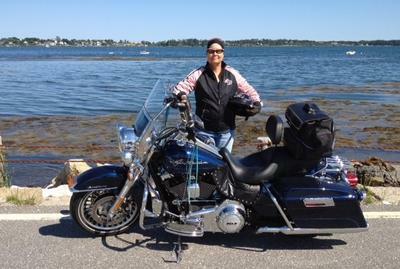 My daughter has moved to New Hampshire so I plan to rent a bike next time I'm visiting in the summer months.